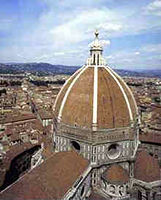 Florence is one of the world's great cities and has an atmosphere that exudes class. Its medieval centre and buildings reflect the social power this city had over the development of modern Europe. 192 km (120 miles) south of Mantua. 2 hours 10 minutes drive. 229 km (143 miles) south of Castiglione. 2 hours 41 minutes drive. 240 km (150 miles) south of Lonato. 2 hours 50 minutes drive. 274 km (171 miles) north of Rome. 3 hour drive. 258 km (161 miles) south of Brescia. 3 hours 7 minutes drive. 296 km (185 miles) south-east of Milan. 3 hours 15 minutes drive. 155 km (154 miles) south-west of Venice. 3 hour 16 minutes drive.